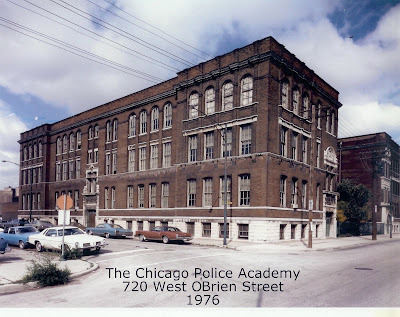 Chicago, IL—There is little information provided to Chicago police officers about the department and its rich history. For example many officers don’t know the names of or the philosophy of the past police superintendents and before that, police chiefs. I’m sure in the Graphic Arts unit there are many old photographs. There are decades of old Star Magazine issues that should be digitized and made available. If I had about a month and the full cooperation of the department I put up a historical website with the highlights of the department’s good and bad times. I’d love nothing more than to put up the stories and pictures behind each year’s winner of the coveted Police Medal. The story of these heroes and their moments of bravery are inspiring. Going through old Police Board files and publishing some of the more notable discipline cases would show how human failings distracted officers from their missions. The influence of corrupt politicians has left its mark on the department. If we don’t know about the problems how do we avoid repeating the same mistakes? The department’s crime lab has been able to solve many high profile cases. They have pictures of amazing evidence going back many decades. The old O’Brien Street academy must have had its share of recruit's ghosts running through the boiler room at night. I bet you could also hear the ghostly screams of recruits as the bones in their wrists snapped during defensive tactics training. There must be a real history buff that will handle this important mission. Good Luck getting any cooperation from the Police Board involving past disciplinary cases. This will never occur, this would show the complete lack of fairness and equity in the entire CPD disciplinary process. It's all who you know or who you blow on the Chicago Police Department! I wonder what happened to all the old records and historical documents that were kept at 1121 S. State St? There is no standardized disciplinary or promotional system on the CPD, this is a huge problem. The Illinois Police Association is still an active organization looking out for the rights and fight for benefits for ALL Illinois law enforcement personnel, be they from state, county or local municipalities. It is the oldest police organization in Illinois, founded 1901. Paul great post. Younger cops don't appreciate history. Its an old PD which started back in the seventeen hundreds. CPD is real big and old they must have some type of historical society. Re:lost history. About 1990 0r 91 a project was undertaken to document the history of the department. It wasn't by the department itself but by members and former members who were serious department memoribilia collectors. There were enough items in private hands to display all the uniforms and badges ever worn, all the various reports ever used. Equipment worn by officers over the decades. Historic one of a kind photos etc.The deprtment was approached and an offer was made by a retired officer, who was a MAJOR, collector, to become the department historian. He was already on pension with full benefits and therefore neede no salry etc. All he asked for was an office and access to historical files of which there were literally tons. Photos, case reports even an old horse drawn wagon. He would donate the use of his collection for display. The departments response wasd "no thanks, not interested". Exact words. Their next step was to "make more room for files" by cutting up the wagon and making nightsticks for command members. Oh, and they needed even more room so one day, they emptied the files at the crime lab, and destroyed all the old glass negatives dating back about 100 years and put a janitor in the dumpster with a sledgehammer to make sure noone could dumpster dive. The retired officer was so putoff by the whole thing that he broke sold off his entire collection. An incredible treasure trove was lost to the four winds. It wasn't until about 1998 when Deputy Chief Jim Maurer undertook a project to research the Officers killed In the Line of Duty that any kind of department history was documented. It was thru his efforts and that of his volunteer research team, that the actual date of the inception of what is now the modern department and the earlier than thought date of the first Officer killed was discovered. The department itself has never cared about its history, nor will it ever. Strange, you must of been the only recruit in the building in 1976,because we moved to the new academy in 1975. Construction began at new academy in 1975 but it was not operating until about December of 1976. Those appointed April 26, 1976 attended in both facilities. They received their bacic required certifificates at O'Brien Street and then completed everything else on Jackson. Of course there are the few of us that were sent out undecover after the first part of their training was completed only to return quietly as a retreads once their assigments were completed in multi-jurisdictional agencies. 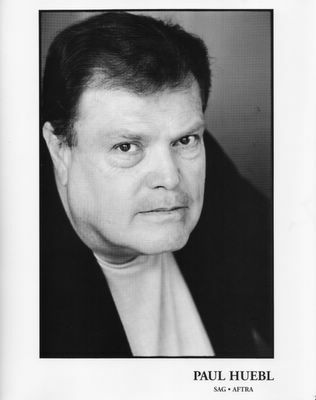 As for me I had started with the Cook County Sheriff's police in 1967. I was drafted in 1968-70 and returned there before being appointed to the CPD later. In regard to Sarbaneck I heard the story from him about blocking the firing of the weapon with his famous judo hand and always wondered. I know that after he retired from CPD he became the Chief of Bridgeview Illinois PD for a few years. After that I guess he just fadded away. I remember one time he pushed me up against the wall and stuck his finger right in my nose and told me how he could control me with just that finger - My hand was at my side an I slammed a fist thumb tucked right into his balls and as he bent over I told him that a finger was no match for a fist. I was a hero to many that day but I paid for that little move until I finished the academy. I really think the guy was on some kind of glory kick thinking he was a cop's cop - he would say things like "I was a cop back when you had to be tough not like the pussies that are cops today" He always seem to think he was better than you. But I will say he was in good shape for an older fellow. Street in 68 as a Cadet. The went through as a P.O. in 72. The smell from Maxwell street is still in my head. When we had to have documents noterized, we had to pay one of the sergeants 3 dollars at a time when the fee was .50 cent at a currency exchange. What a shame for not having a historical police museum. I'm a retired Ohio officer looking for some info for genealogy. Is there even a list available for fallen officers at least? I was looking for some history here too. My mother was a secretary at the O'Brien building back in the day. My father was CPD out of 8 and passed in "77". My stepfather was H. Brown (yeah yeah,,,I know what you are going to say! If you are alive to read this he must have taught you something. He was a leader and didn't have time to show he was human. My mother and he had a pretty good life after his retirement. I'm grateful that those two old academy folk could enjoy each others company. I loved to listen to the stories they remembered (some names mentioned in other posts) and really intrigues me to this day. I look at old pictures and am still a little disappointed that I didn't join the department. I have nothing but respect for not only our PD but everybody who has the courage to put the uniform on. This is a different day that's for sure!! I grew up with one of the top cops on the Southside, and he was always a straight shooter. I am pretty sure he is doing an awesome job.